What is a vaccination and how do I get one? Vaccinations are the best way to help protect you and your family from certain infectious diseases. They also help reduce the spread of disease to others and prevent epidemics. Vaccines protect not just yourself, but your family and community as well. Read this guide article to find out more. Note: Vaccination can also be called immunization, vaccines, shots, or needles. These words all mean the same thing. Vaccinations help your body build an immune response to sickness. Vaccine shots make your body build immunity (resistance) against certain diseases before you are exposed to them. Healthcare providers call this immunization, or vaccination. Vaccines are the best way to protect you and your family from infectious diseases. Immunity comes from your body’s immune system. The immune system is a special network in the body that protects you from the germs that cause disease. Through a process called the immune response, your immune system learns how to recognize harmful germs. 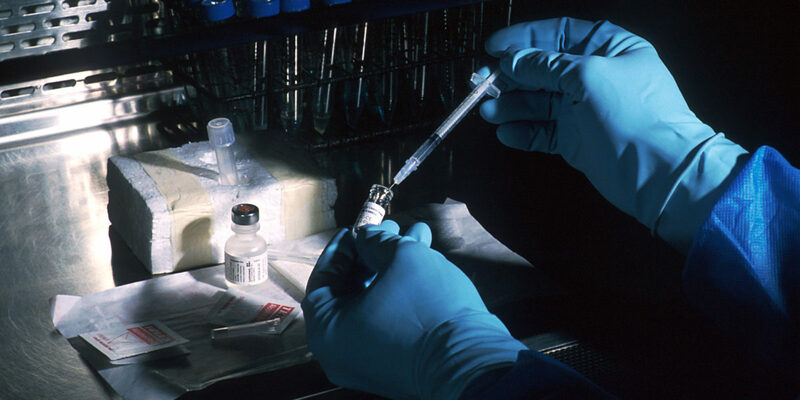 The dead or weakened germs in a vaccination signal your body to produce antibodies. Antibodies are your body’s protection against germs. Vaccines build immune memory by allowing your body to safely develop antibodies against a weakened form of an infectious disease. When you’re exposed to that disease after being immunized, you body will be able to fight it off, without getting sick. Immunizations protect you and your family from dangerous diseases. 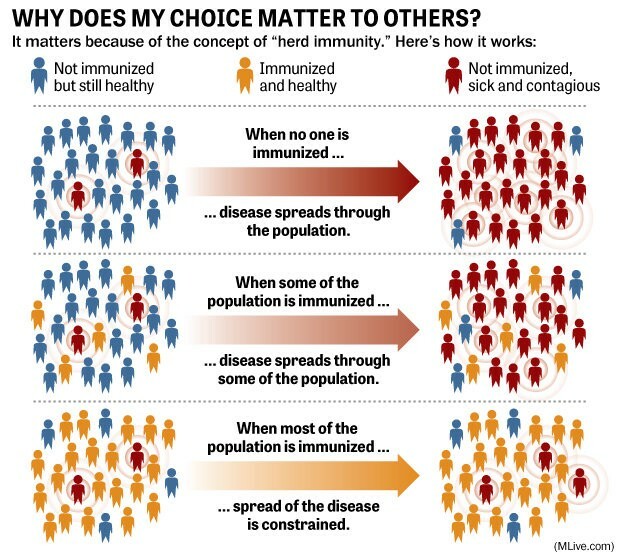 They help reduce the spread of disease to others (herd immunity). Immunizations are often needed for entrance into school or daycare. You may also need them for employment or international travel. The risk of getting a disease is much greater than the risk of reacting badly to a vaccine. When immunization rates drop below a certain level, preventable diseases show up again. These diseases, while easily preventable, are hard to treat. These people rely on those around them for protection against vaccine-preventable diseases. How do I get a vaccination? Some vaccines are offered free of charge. Some vaccines, you have to pay for. Your work, school, or personal health plan may cover some vaccines. Following Alberta’s routine immunization schedule is the best way to keep track of the vaccinations you need. Alberta Health Services (AHS) designed this schedule to make sure that everyone can get immunized at the safest and most effective ages. In addition, the immunization schedule gives you information on what diseases each vaccination protects against. Find it here. Please note, you and your family may need other vaccines depending on travel or lifestyle factors. You can always consult your family doctor, workplace health and safety department, or a travel health clinic for information on what vaccinations you need. Dial 811 for Health Link. The registered nurse who answers your call will help you find a location. Online, you can look up the closest Public Health or Community Health facility, by clicking here. Your healthcare provider or pharmacist, can give you a vaccination, depending. Schools also sometimes arrange for student vaccinations, with parent permission. Locate vaccination records for everyone in your family. This will tell you which vaccines you need to keep up-to-date. If you cannot find your vaccination record, contact your healthcare provider or local public health office. They will help you determine which vaccines you need, and where you have to go to get them. If you don’t have a vaccination record, be sure to ask for one at your first appointment. Sit upright when getting the needle or lie down, if you prefer. Scared of needles? Distract yourself! Listen to music or watch a video, close your eyes, squeeze a friend’s hand, or do all three. Don’t get up too quickly afterward. If your child is getting a vaccination, be sure to cuddle and help relax them. Remain in the clinic 15-20 minutes after the vaccination, just in case there is an allergic reaction. After, you may be more tired than usual and a bit red and sore where the shot was given. These are common side effects, and should go away after 1-2 days. Serious reactions to vaccination are very rare. If you have a prolonged fever, develop a rash, or feel confused and unwell, seek medical attention immediately.